If your kids haven’t started back to school yet, then they are probably waiting impatiently to start like my kids are! Our school session starts on Monday and they are so excited to begin. My oldest daughter is ready for her Art class and I think my other two are most excited about using their new school supplies. LOL I am ready because it gives us a lot more structure to our day. 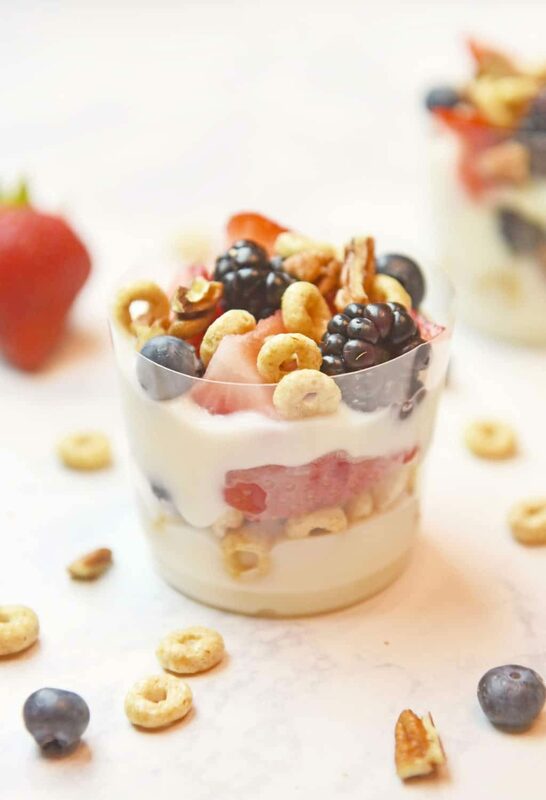 Back to School means it’s also time to start thinking of easy breakfast ideas like these Honey Nut Berry Parfaits! 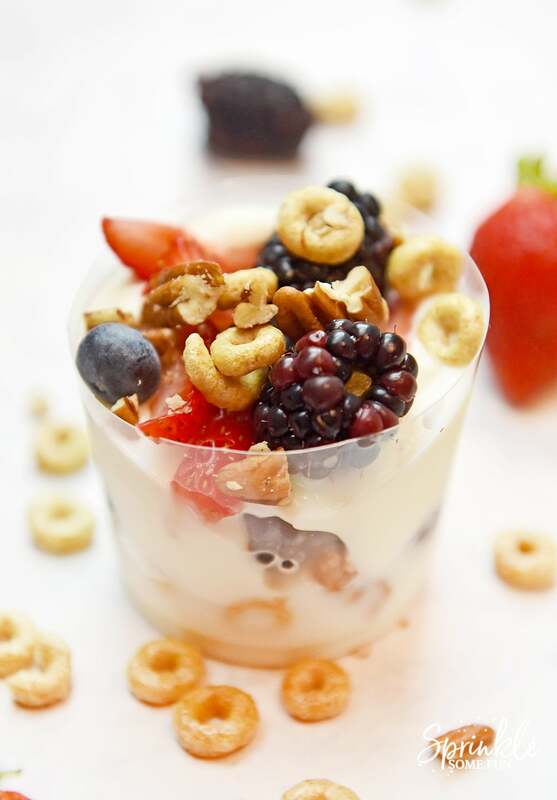 We make them with Honey Nut Cheerios and then we collect the Box Tops for Box Tops for Education. Right now, there is Buy 5, Earn $5 in Box Tops offer. This can go a long way in helping out local schools. I find my Cheerios and other items with Box Tops at Walmart. I love that all of the products that participate in Box Tops for Education are also products that we buy regularly. The 3 pack of Back to School Kleenex has 6 Box Tops on the package! 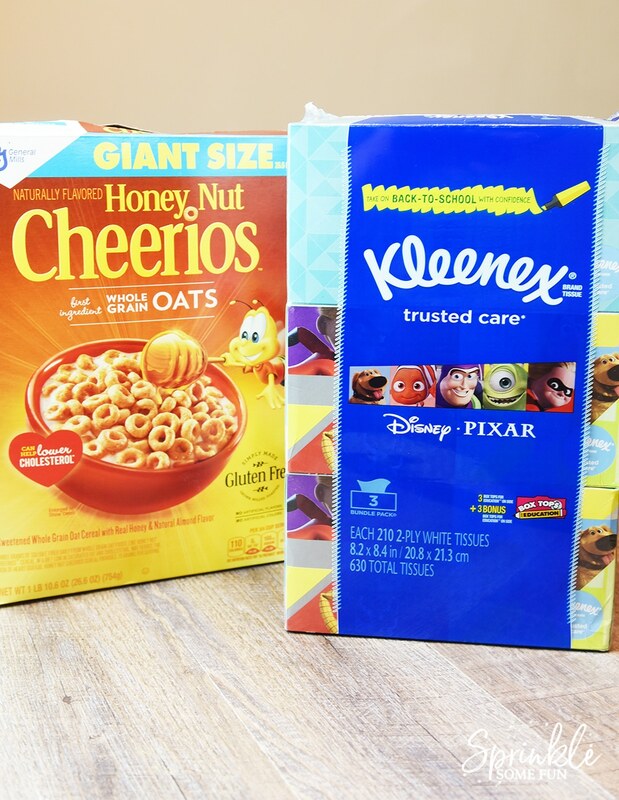 My kids have loved helping me find all the products with Box Tops on them (like a scavenger hunt), but you can also go to the Walmart website to find out which products to look for. Once we cut out the box tops, we collect them in a cup or a jar. 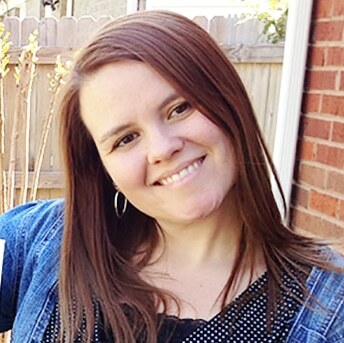 Something new that I want to use is the Box Tops Bonus App. Just download the app, find offers, scan your receipt and then the earnings will be calculated. So easy to do! I love that we can help our local schools by just scanning a receipt. Our local school’s goal is $1000. With everyone pitching in, I know we can make it! 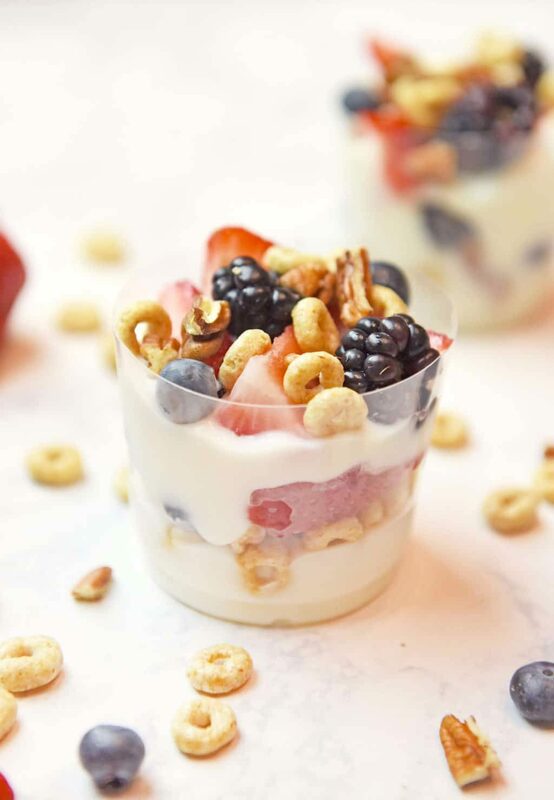 Layer the Cheerios, Yogurt, Berries and Nuts in a parfait glass or bowl. Serve chilled. Enjoy! 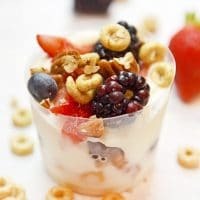 We love these parfaits and I can even make them ahead of time for the busy weekdays. It’s an easy way to make sure my kids get a great start to the day. 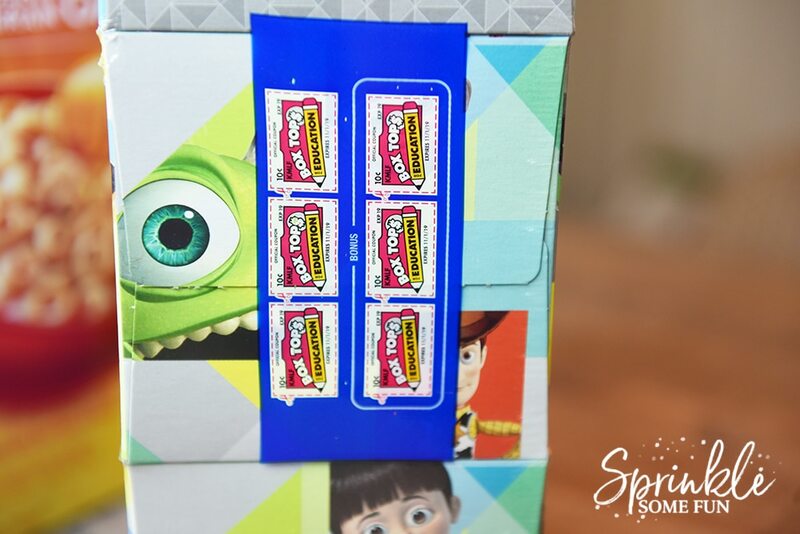 Will you be saving up your Box Tops this year? 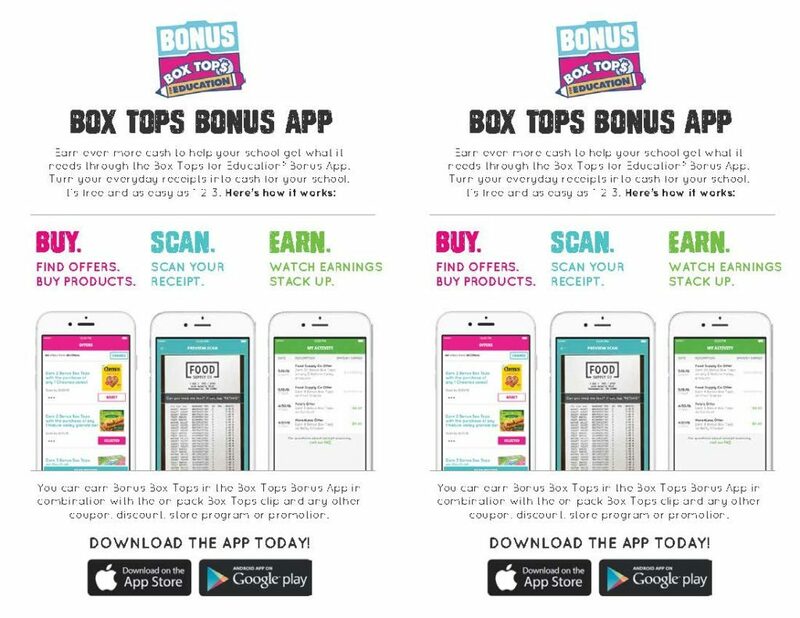 Make sure to enjoy the free Box Tops Bonus app too!